Due to the lack of access to markets, the cash economy in YUS is highly underdeveloped. As a result, many people in YUS have difficulty generating household income. Yet families in YUS must find a way to pay school and health fees, purchase basic necessities in village stores, or take rare trips out of YUS. Coffee and cocoa beans have been grown as a cash crop in YUS for many decades, although trees were often neglected due to the logistical challenges and weak profit margins associated with selling the produce through local commodity markets. Recognizing the value of the high-quality coffee and cocoa for premium niche markets in the United States, Australia, and beyond, TKCP is partnering with local landowners to develop market linkages and establish systems for quality control, supply chain management, and logistics. The initiative has proven to be a great success for land-owning farmers who have pledged their land to the YUS Conservation Area, with substantially higher profit margins reinforcing the community’s commitment to conservation. TKCP’s livelihoods initiatives also encourage other landowners to pledge land to the YUS Conservation Area. More land pledges mean more long-term protection for the YUS ecosystem, and for endangered species such as the Matschie's tree kangaroo. 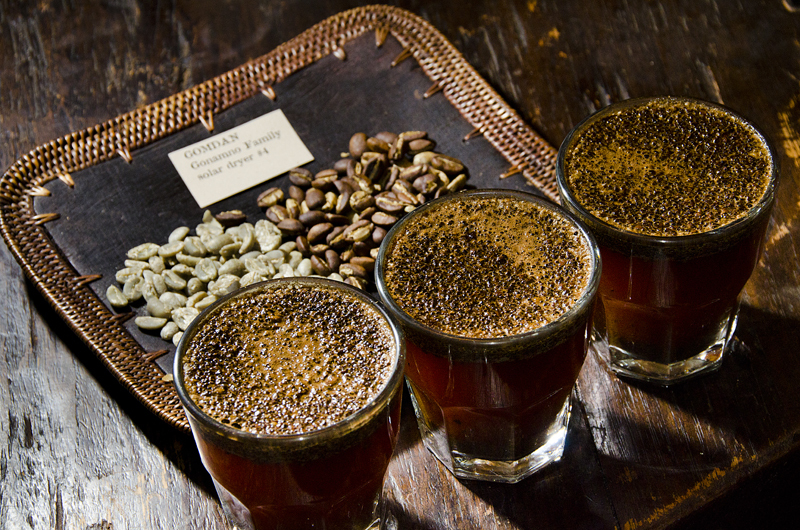 The high elevations, temperate cloud forest climate, and shade-grown pesticide-free farming techniques contribute to a naturally high quality coffee bean. 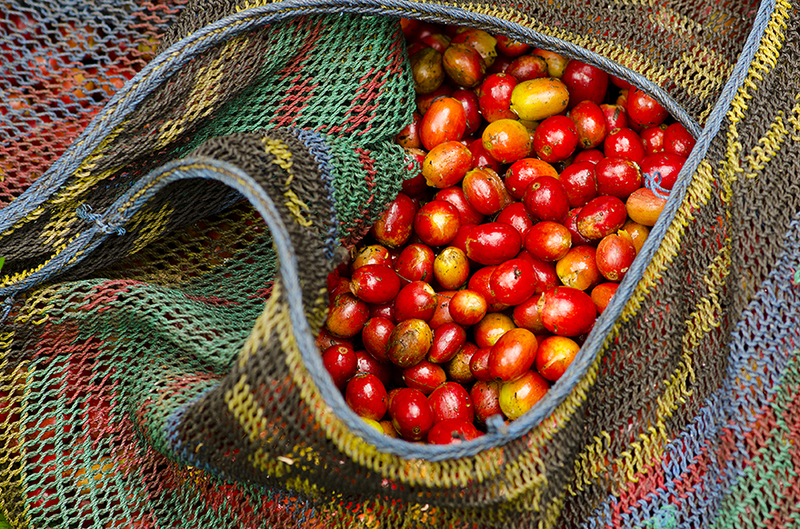 In partnership with Seattle-based Caffé Vita (www.caffevita.com), TKCP began working with coffee farmers in YUS to address logistical barriers and establish connections with the specialty coffee market. 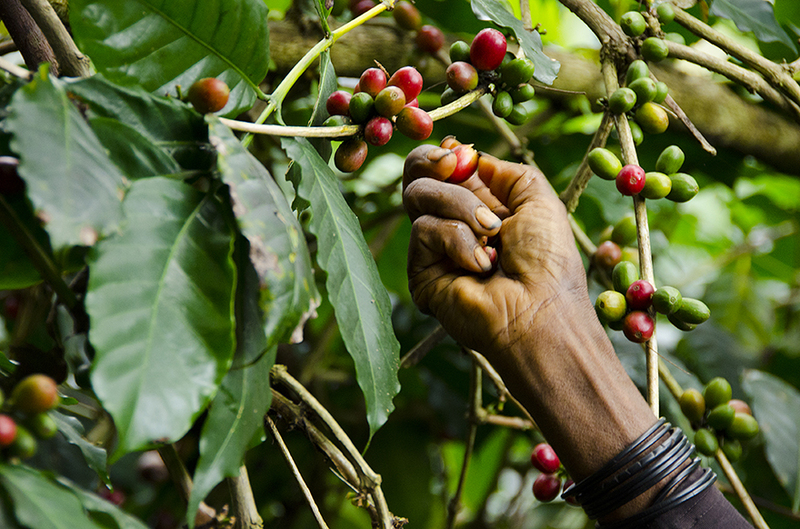 Caffé Vita quickly recognized the potential of YUS coffee as a premium product, based on the high quality of the beans and bolstered by the unique story of the YUS community’s commitment to conservation. The company continues to demonstrate its support with field visits to provide valuable training and advice to farmers. By selling farm-direct to Caffé Vita and other buyers, YUS farmers earn revenues more than 35% higher than local market rates. Adequately covering the costs of production and transport, premium coffee export has become an economically viable industry for communities in YUS! Building on the project’s success, TKCP continues to expand its impact and improve local livelihoods among more communities throughout the YUS landscape. TKCP seeks to further strengthen market access by establishing reliable domestic transportation for consistent product delivery, and by exploring new specialty coffee market opportunities in the Papua New Guinea, Australia, and United States. Unlike coffee, which grows in the high mountainous regions of YUS, the lowland areas along the coast of YUS have the potential to produce exceptional cacao beans. Modeled on its successful YUS Conservation Coffee initiative, TKCP is building relationships with premium chocolatiers such as Seattle’s Theo Chocolate (www.theochocolate.com) to develop market linkages for YUS Conservation Cocoa. Working with cocoa farmers who have pledged land for conservation, TKCP provides capacity-building to improve efficiency and productivity through husbandry, quality control techniques, and business management skills. The YUS Conservation Cocoa initiative is an exciting opportunity to bring much-needed financial resources and reinforce the conservation commitment among more communities throughout YUS. We never got such prices before the YUS Conservation Coffee program. Families who have kids in high school see this as an opportunity to offset the school fees from what we earn. This is such a big relief, in addition to the benefits for conservation. I can see parents now who are able to afford new clothes for their kids to wear to school. And families can even earn enough to keep a small savings which are invested into equipment and materials for next year’s harvest. Due to their remote location and limited availability of resources, basic social services such as education and healthcare are generally lacking throughout the villages in YUS. When communities are unable to adequately care for themselves and their families, they are understandably unable to address issues of environmental conservation or plan for long-term sustainability. Working closely with the YUS Conservation Organization, government agencies and partner organizations, TKCP supports initiatives to address critical gaps and priorities to improve quality of life. To address the lack of access to basic healthcare services, TKCP has developed the ‘Healthy Village, Healthy Forest’ project. 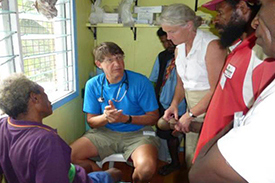 Partnering with PNG’s Provincial and District Health Departments, nongovernmental organizations, volunteer physicians and veterinarians, the project aims to develop systems to address the integrated needs for human, wildlife, and environmental health. 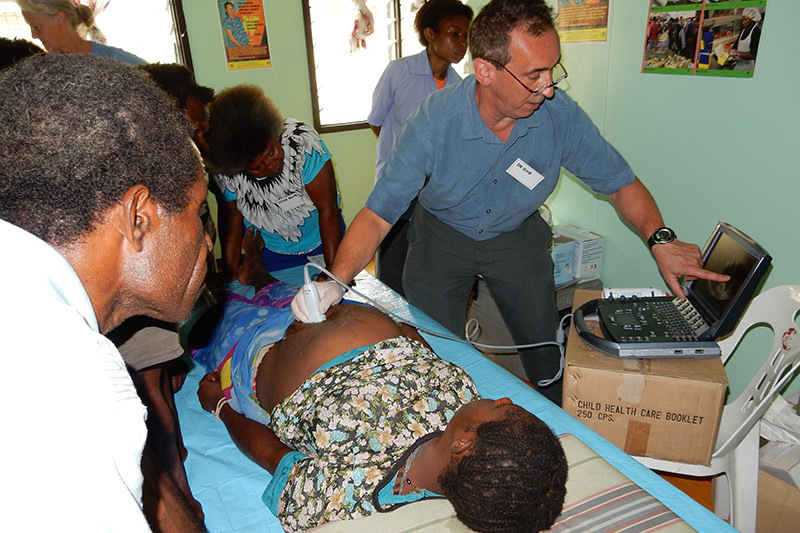 The project provides essential training to Community Health Workers and Village Birth Attendants (midwives) in YUS regarding the prevention and treatment of common illnesses, safe pregnancy and delivery for women and babies, healthy behaviors, and PNG’s referral process for the treatment of serious medical conditions. TKCP collaborates with volunteer health professionals including Woodland Park Zoo Board member Dr. Robert Liddell, Dr. Marti Liddell, Dr. Nancy Philips, Dr. Blair Brooks, and Sister Baleb Wahazoka to equip and empower residents of YUS to plan their own healthy communities and address issues such as water quality, family health, and nutrition. The project aims to establish and improve systems for routine health patrols and to ensure an adequate supply of quality equipment and medication to the clinics and health posts throughout YUS. To learn more about TKCP’s approach to conservation and health, listen to Dr. Lisa Dabek’s presentation at the Wilson Center’s Environmental Change and Security Program . 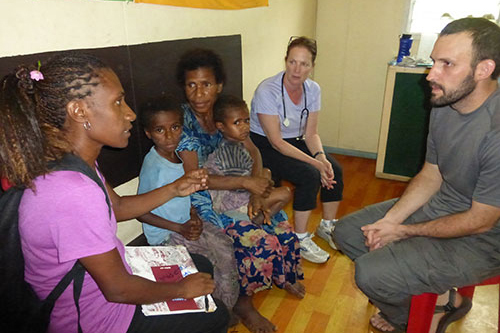 As the health needs in YUS are substantial, TKCP is interested in partnering with other physicians and medical professionals to provide communities with knowledge, skills, and access to treatment. Please contact us if you are interested in contributing your time and expertise. 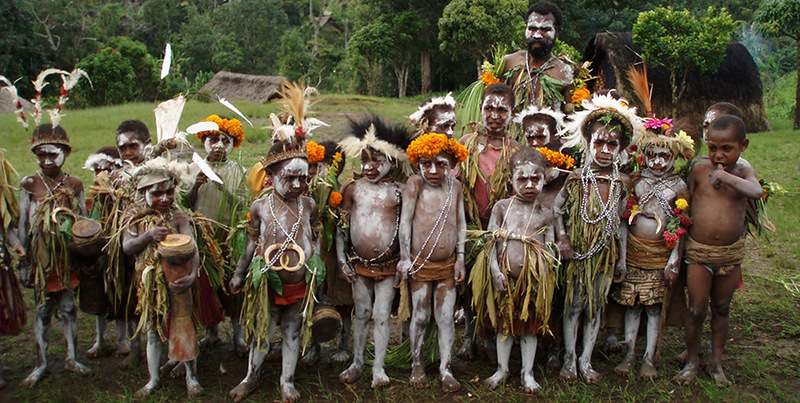 Remote areas in Papua New Guinea, as in other countries, are often relatively unpopular posts for urban teachers. As a result, many village primary schools in YUS were closed due to a lack of teachers; leaving many hundreds of children without the opportunity to earn an education. For more than a decade, TKCP has helped to fill vacant teaching positions in YUS with qualified teachers through a teacher training scholarship program. TKCP has helped to support more than 20 students from YUS to graduate from Balob Teacher’s College in Lae, who have proudly returned home to teach in YUS schools. In order to develop the next generation of environmentally-aware citizens in YUS, TKCP introduces children and youth to natural science and environmental awareness through the celebration of World Environment Day each year on June 5th. The knowledge and skills gained by students and community members through TKCP’s education initiatives promote environmentally sustainable decisions at the local level and contribute to the effective local management of the YUS Conservation Area. In order to promote local ownership and management of the YUS Conservation Area, TKCP has worked with the YUS communities to form a community-based organization, called the YUS Conservation Organization (YUS CO). Registered with the PNG National Government in 2009, the YUS CO is an organization of local landowners which advocates on behalf of the clans and villages throughout YUS and serves as an advisor on community needs and priorities throughout YUS. In partnership with TKCP, the YUS CO seeks to encourage appropriate management decisions for the YUS Conservation Area and drive efforts to meet the needs of people, communities, and environment. YUS CO continues to assume a greater leadership role as the organization and its representatives gain capacity, recognition, and respect from YUS communities and government representatives. For more information about our work on The Communities refer to the YUS Landscape Plan or our Annual Reports. The Tree Kangaroo Conservation Program (TKCP) is the partnership between the Woodland Park Zoo’s TKCP and TKCP-PNG. TKCP-PNG is an independent non-governmental organization registered in Papua New Guinea.